BELOW YOU WILL FIND INFORMATION ON THE COMPANIES SHOWCASED AT OUR EVENT. IF YOU WOULD LIKE TO SHARE YOUR INFORMATION WITH THE ATTENDEES OF THIS EVENT, PLEASE FILL OUT THE FORM BELOW. Please provide a shareable email address. Do you grant ARK permission to share your contact information? * Yes, I grant ARK permission to share my contact information with the parties at this event. No; please keep my information private. ClimateCoin created a coin for every person in the world to be able to directly contribute to solving the global issue of climate change using blockchain technology as a revolutionary way to eliminate intermediaries and participating directly with companies. By using the contributions ClimateCoin will invest in companies and projects that create real solutions to mitigate climate change while helping them grow and be competitive against the current systems that contaminate their processes. ClimateCoin has also built a blockchain green ecosystem where companies that have similar objectives can interact and find synergies. Current is a blockchain based media browser, a utility token and a protocol that makes adoption of cryptocurrency as easy as pressing play - where you get paid to play the media you love. As Current removes the barrier to entry for cryptocurrency ownership by rewarding anyone who streams media. Gen-Z and Millennials are driving the unprecedented adoption and growth of streaming media platforms with deeper and more frequent interactions. By leveraging this massive daily habit that spans cultures, generaDons, and geographies, Current makes it easy to earn a cryptocurrency that is immediately useful. Current eases the on-boarding process, requiring no prior knowledge of blockchain technology, no cryptocurrency holdings, and no change in behavior as they are rewarded by consuming on the networks they already use. 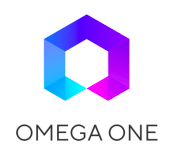 Omega One is building the world’s best cryptocurrency trading exchange platform by providing the next generation of crypto-traders unprecedented Liquidity, Security, Transparency and Speed and building a bridge between traditional markets and digital assets, using world-class technology and trading algorithms. By improving liquidity and security in digital asset trading, Omega One is laying the groundwork for a more efficient, decentralized and inclusive financial system. Digital tokens are a new asset class that has captured public attention in some cases because of outsized increases in value, but overall because of the extraordinary advantages blockchain technology brings to thousands of different industries worldwide. Protos is a data driven hedge fund with an investment strategy of investing in digital tokens, cryptocurrency and other appropriate crypto investments (and derivatives linked thereto) to achieve investment goals. As people, businesses, and governments use a certain blockchain, for example Bitcoin, demand increases for digital tokens. Protos will be helping to drive a second wave in crypto investing with the goal of benefiting its token holders through proprietary crypto trading strategies. PScience wants to use their expertise at company building to help select blockchain entrepreneurs in their efforts to become the software giants of the next century. They believe token holders should benefit from access to a stream of new tokens from Science’s carefully incubated portfolio companies. In turn, investors should as a result, participate in any upside from ownership of the Science Tokens, as the proceeds from dispositions of portfolio companies are anticipated to be used to repurchase those tokens via a buyback program. Sensay platform provides a decentralized, interoperable messenger protocol allowing anyone to chat and transact freely across centralized messaging applications. The SENSE tokens will enable users to earn rewards for their conversational contributions across Sensay platform and other applications. The Sensay network has over 20 million Sensay Coins already in circulation among nearly 3 million users. The Sun Exchange is a new crypto-marketplace that enables the “crowd-sale” purchase of solar cells that power businesses and communities in the sunniest locations on earth. Each solar cell purchased through The Sun Exchange powers hospitals, factories, schools and serves other end-users, creating multitudes of power and a cleaner future. We arrange the solar equipment leases for you and arrange the revenue collection and distribution systems so you can earn a passive stream of rental income powered by the sun. wealth for all through real estate ownership since 2010. Using it's global platform - to date it has facilitated USD 65+ million in equity investment in real estate on its global platform through over 1,450+ transactions all verified via blockchain from investors in 42 countries. Wealth Migrate was the world’s first collaborative global smart investment platform that utilized blockchain technology, was named one of the KPMG Leading 50 Global fin-tech platforms and currently has members from 105 countries. You have received this content in confidence from ARK ICO Advisors Private Limited & ARK ADVISORS LLC (ARK ADVISORS). The contents are to the ordinary user of the email address to which it is addressed. No-one else may place any reliance upon it in any form. If you receive this email in error, please accept our apology. Nothing in this email should be construed as a solicitation or offer, or recommendation, to acquire or dispose of any investment or to engage in any other transaction, or to provide any investment advice or service. Ark Advisors accepts no liability or responsibility whatsoever for any loss or damage arising as a result of any decision or action taken or refrained from as a result of information contained in the email or as a result of your use or misuse of this email. Ark Advisors LLC,a limited liability corporation registered in Las Vegas, NV is a subsidiary of ARK ICO Advisors Private Limited a Singapore Private Corporation. Neither is authorized or regulated by any financial conduct authority. Any reference to a partner in relation to Ark Advisors is to a member of Ark Advisors or an employee with equivalent standing and qualifications.